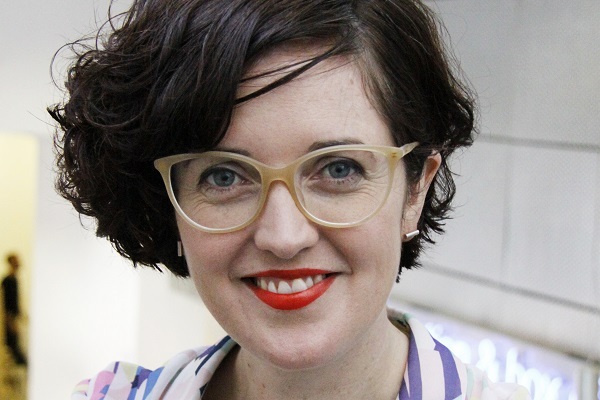 After ten years working here at Project Arts Centre, Tessa Giblin, our Curator of Visual Arts, is leaving to take up a new position as Director of the Talbot Rice Gallery at the University of Edinburgh. We’ll be very sorry to say goodbye to Tessa but we’re delighted for her on the announcement of this major appointment to such a prestigious organisation. Of course, we will continue to work with her and Jesse Jones as we prepare for the Irish Pavilion at the Venice Biennale next summer! Tessa has made an extraordinary contribution to the Visual Arts programme at Project Arts Centre and to the wider cultural community in Dublin. Her vision and passion have brought some extraordinary work to our gallery and spaces and I know she will bring this energy to the Visual Arts community in Edinburgh. While we will still be working closely together on Ireland at Venice in 2017, I wish her well on her new journey at the Talbot Rice Gallery. Recruitment for the new visual arts job vacancy will begin in the coming weeks. For more on Ireland at Venice, click here. For more on Tessa’s new appointment, click here. For more on the Talbot Rice Gallery, click here.